Picked up my First Lexus the beginning of December 2017. Needed a new back up car as my old Audi 100 was falling apart, and after pricing all the parts out to fix the Audi, it would have cost as much just to buy this Lexus. So here she is. 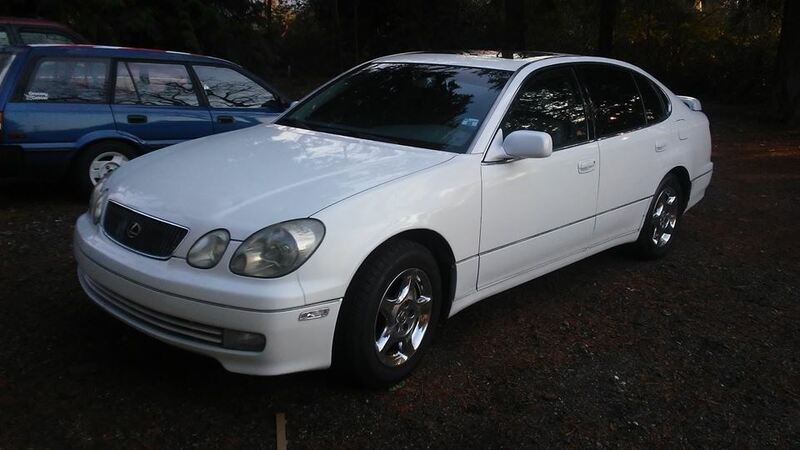 1998 Lexus GS400. 1UZ-FE with VVT-i, and 300hp stock. Big, boaty, comfortable, and fast. No crazy plans for this car, as reliability is key for it, but I do have some small plans. 20" wheels, lowered, fix the body up a bit, a front lip, or possibly full kit, and some new exhaust. But we will see how things go. Slotted and cross drilled rotors!